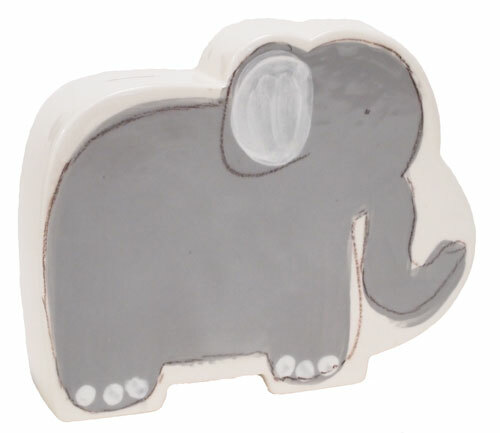 This hand painted ceramic bank makes a great keepsake gift for any child in your life. 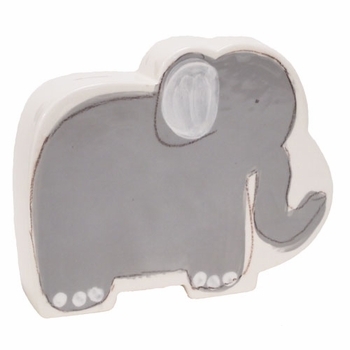 It measures 10” x 2.5” x 8” h and is quite a statement on any shelf or dresser. This bank can be personalized with your child's name and birthdate for that extra special touch!